PERFECT FOR ALL OCCASIONS: Each Cubby is a unique soft toy that can be embroidered to celebrate any occasion whether it is a wedding, birth announcement, birthday, baptism, christening or just a name. Whatever you want! CUBBIES RANGE: The cubbies range, are approximately 35cm tall (unless you order a giant one, at 50cm tall) super soft huggable that is certain to be a forever friend to a special person. These adorable bears can be personalised for any occasion. The embroidered goes right onto the Cubby itself. FULLY CUSTOMISE YOUR TEXT: This cute, cuddly, and oh so soft Cubby embroidered with a name or special messages makes a rare, charming and gift for someone special. 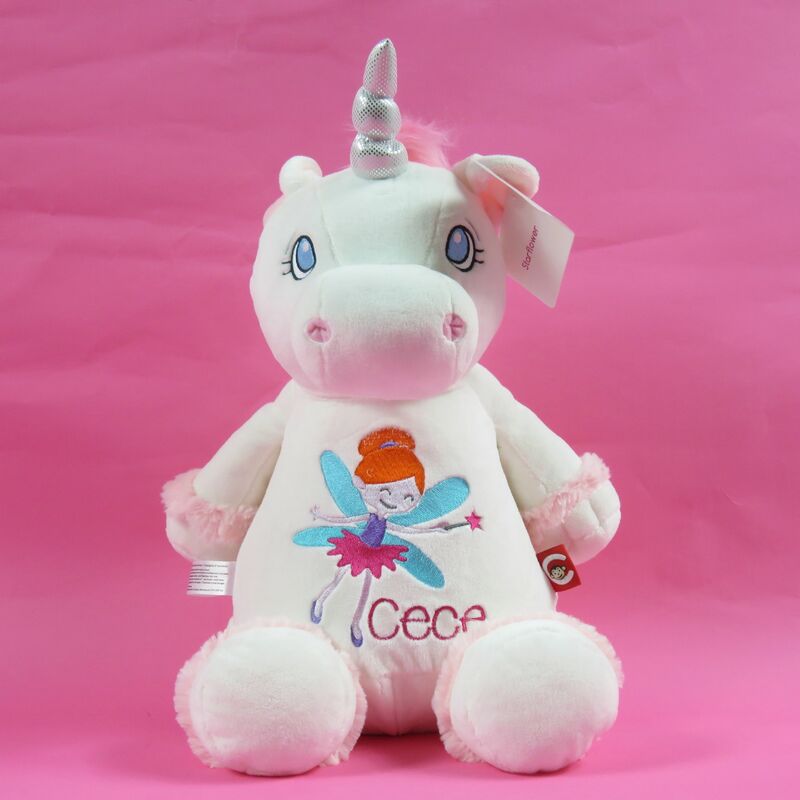 SOFT PLUSH TOY: The Soft plush toy has a completely removable stuffing pod and your cubby because a perfect pyjama case or a keepsake bear for storing first outfits etc. You can stuff the 'Cubby outer' with whatever you want! Completely adorable personalised cubby bear with your own custom message! They feature stuffing pods which enables us to embroider directly onto the bears tummy. This is also great as it means you can remove the pods to clean the bear after every adventure. You can also use these bears as a pyjama case or to store specials items such as babies' first outfit. They are lovely, bright and colourful with different fabric types - certain to be a forever friend to a special person. They make lovely new baby gifts, christening gifts, birthdays or any occasion fro any age! They are a long lasting keepsake for the new owner to cherish forever. This teddy can be personalised for any occasion and makes a keepsake both parent and child will love. Each Cubby has embroidered eyes and mouth, is fully tested and certified and approved for all ages. With a variety of bears and animals available you can guarantee your personalised teddy bear will be one of a kind for your special little one!